These are a pair of simple and elegant sterling silver oval cufflinks with blue enamel perimeter decoration and ball and chain keepers. They bear the post 1979 Mexico quality mark as well as a maker’s mark for Mexico City. Size and marks are on the pix. 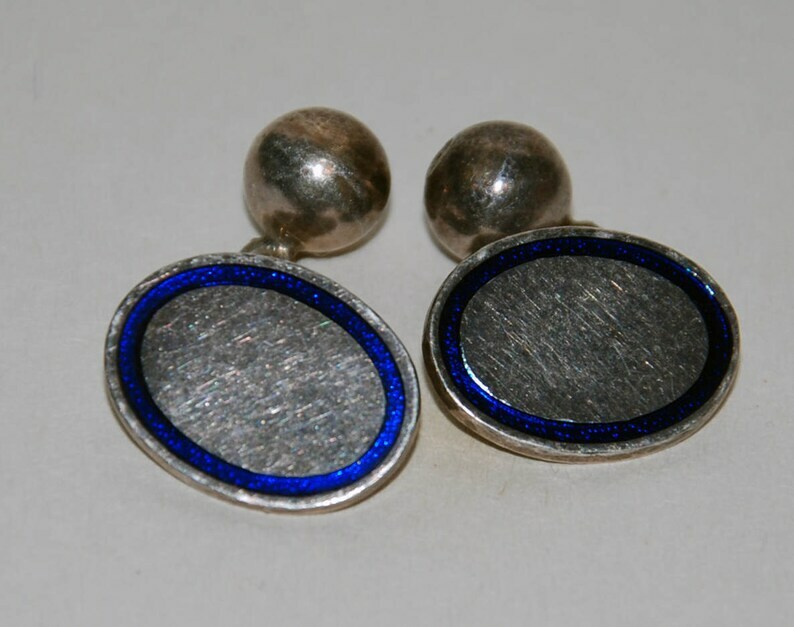 Oval Cuff Links 1930s era Art Deco Sterling Silver -- Free US Shipping!